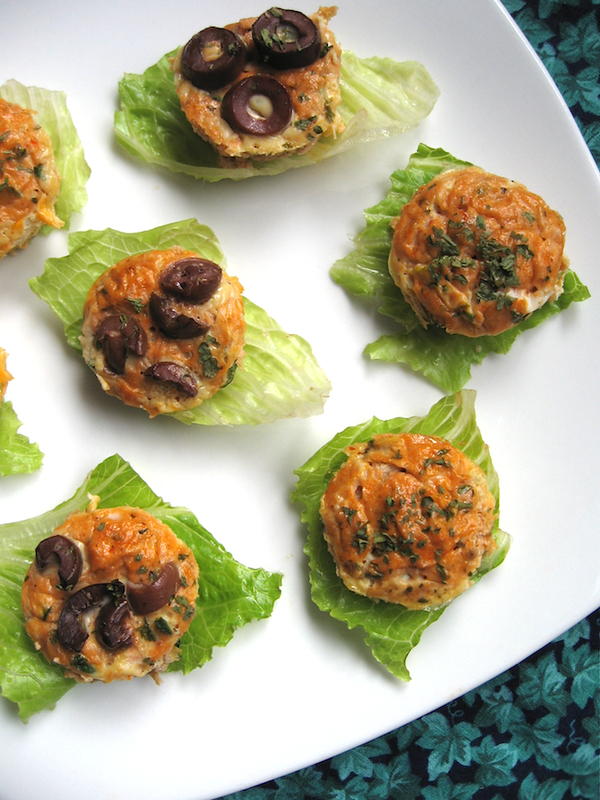 Forget the crust, just give me Mediterranean tuna pizza poppers for lunch! I’m trading my pizza stone some for muffin tin magic, with protein-packed pizza bites that keep everyone full and happy. 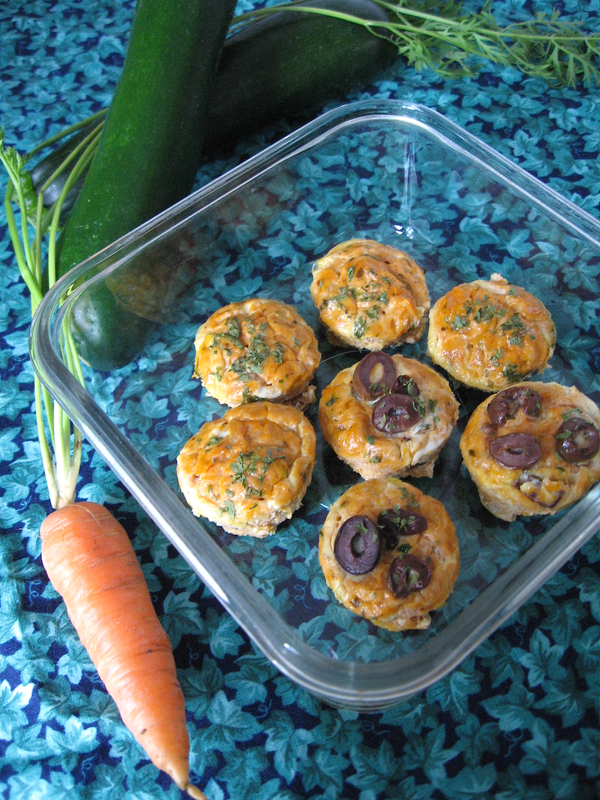 At last, here is a long-awaited savoury muffin tin recipe! Until now I have shared only sweet muffins for Muffin Tin Month. Except on my Muffin Tin Mania Pinterest board, which has some savoury creations from other bloggers. There are 28 pins and counting; I invite you to follow the board on Pinterest and see if we get all the way up to 100 recipes! You can have your recipe added too! Just hop over to my Muffin Tin Month post and leave a comment with a link to your recipe. Easy to pack and loved by kids and grownups alike, these savoury gluten-free wonders are definitely going into our lunches this fall. Inspiration came from Aimee’s Tuna Cheddar Lunchbox Bites, but these pizza poppers can be made without cheese. We tried them with and without cheese, and my children preferred the cheesy version. I think they have so much flavour that they work just as well dairy-free though. It was my first time to use nutritional yeast and I am looking forward to incorporating it into other savoury recipes. 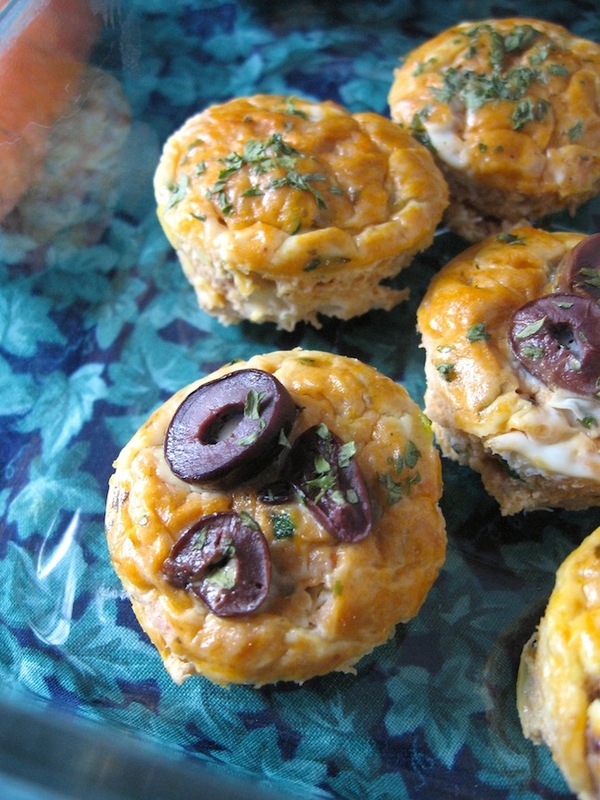 I made two versions of tuna pizza poppers–with and without olives; all were gobbled up eagerly. I used a secret sauce the first time, which was actually leftover Tomato and White Bean Soup. You can leave out the beans and just use seasoned marinara sauce to make it easier, but I liked the heft from the blended beans, especially for dairy-free ones. These pizza poppers work well for lunchboxes and picnics. They are full of flavour and loaded with protein to carry you and/or your kids through the afternoon. And you can easily make them ahead of time in 30-minutes or less (if your muffin tin is clean)! Beat eggs and mayonnaise together. Add marinara sauce or soup. Stir in tuna, zucchini, Italian herb blend, and nutritional yeast/cheese and stir well. Season with garlic salt to taste. Sprinkle with parsley flakes. Preheat oven to 325 degrees F (174 C). Grease muffin tin or mini muffin tin cups well with butter or oil. Pour in egg mixture. Bake for 15 minutes or until pizza poppers are firm and golden. 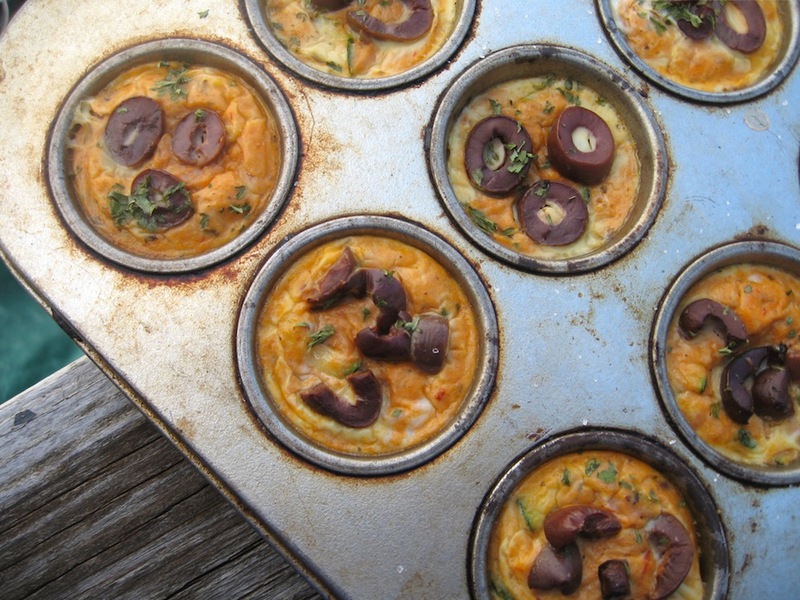 Allow muffin tin to cool for 10 minutes before removing pizza poppers with a knife or spoon. Serve warm or cool. I share my recipes here. Gluten Free Wednesdays, and Savoring Saturdays. Thanks for linking up to Savoring Saturdays. I love this recipe! Stumbled and pinned! Hope to see you next week! Very interesting and delicious recipe! Never had pizza poppers before but it sounds like even better than pizza! Will definitely use mixed cheese instead of yeast. Yum!